Bria iPhone Edition allows you to mirror your desk phone to your iPhone without having to eat up minutes associated with simultaneous ring or forwarding. 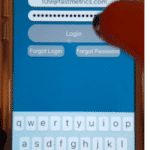 Calls made from Bria iPhone Edition will go out with the caller-ID and name your office phone would, allowing you protect your privacy and control who has your mobile number. With office Wifi Bria becomes an affordable way to see and answer your incoming calls while away from your desk. 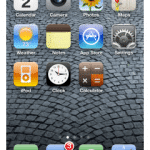 Bria iPhone Edition is available in the iTunes App Store for $7.99. 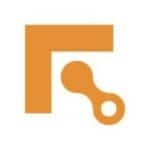 Have your authorized administrator contact Fastmetrics support at 415-778-5103 to obtain a username and password. 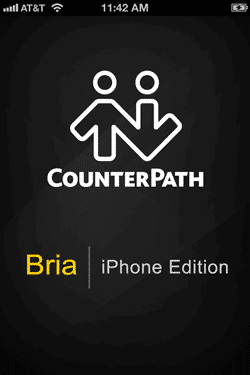 Purchase and install Bria iPhone Edition from the iTunes App Store. 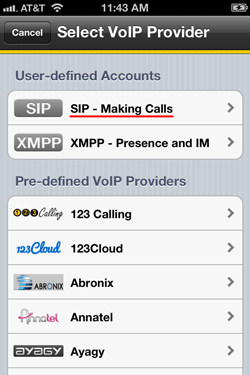 Under User-defined Accounts select SIP – Making Calls. Press Done in the upper right corner. Go back to the top and press New SIP Account. 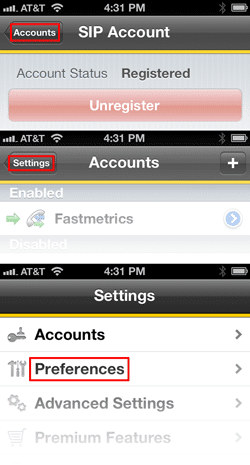 Enable the account by toggling the Enabled switch. If successful you will see ‘Registered’ at the top of the screen. You are now able to make and receive calls via a Wi-Fi connection. If you wish to use Bria while on your mobile carrier’s data network continue to the next step. Bria can be setup to use your mobile carrier’s data plan to make and receive phone calls. The quality of these calls is dependent on your signal, and the carrier’s network. Go to Preferences by pressing Accounts, then Settings, then Preferences. 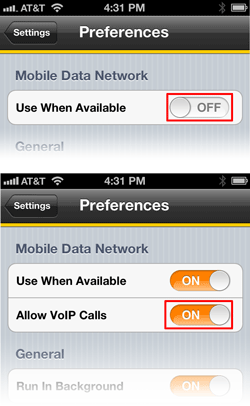 Under the Mobile Data Network section toggle the Use When Available switch to On. 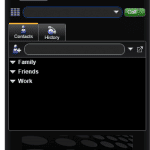 Another switch appears called Allow VoIP Calls, toggle this to On.